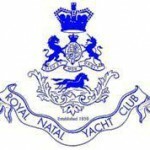 1.1 The Board of Control of the South African Merchant Navy Academy “General Botha”. 1.3 The SATS General Botha Old Boys’ Association. 2.1 The “General Botha” was established as a training ship in 1921 by a donation from the late Mr T B F Davis. The original purpose of the ship was to be a pre-sea training establishment for young persons desiring a career in the merchant service. The “General Botha” has undergone various changes through the years, including moves to various locations, from the original ship moored Simon’s Town to the present location of the Academy at Granger Bay, Cape Town. The “General Botha” has had a very high reputation both In respect of the training it has provided and also in respect of the calibre of the persons who have been trained. It has indeed a very proud and distinguished history. 2.2 Although the “General Botha” began as a private institution which soon after inception began receiving financial assistance from the government, it was placed under the jurisdiction of the government during the early 1950’s. At the date of establishment of this trust the Board of Control of the “General Botha” is a body corporate with a constitution, but falling under the authority of the Department of Education and Culture: Administration House of Assembly. 2.3. As a result of the absorption of the Academy and all its assets into the Cape Technikon, it has been agreed by all interested parties that the memorabilia of the “General Botha” which embody the spirit of the “General Botha” and indicate with eloquence the rich and distinguished history of the “General Botha” (whilst a separate educational institution) should be preserved in terms of this Trust Deed for the benefit of both the present and the past students of the “General Botha” and also for the wider maritime history of South Africa. It is therefore proposed by all the interested parties that such memorabilia be preserved separately in an agreement of trust on the terms contained herein. The trust hereby constituted shall be known as the “GENERAL BOTHA TRUST”. The purpose of the trust shall be the preservation of the memory and the spirit of the various establishments bearing the name “General Botha” in the form of maintaining in a suitable way the memorabilia of the “General Botha” and in any other such way as the trustees in their absolute discretion may consider appropriate. To this end it is recorded that it is expected that such memorabilia will be housed and maintained in such a place as will allow access to all those who and have an interest, particularly the present and past students of the “General Botha”, in the history of the various establishments. However, the purpose of the trust shall not be limited to maintaining such memorabilia, but the trustees shall have power to utilise the property of the trust, excluding the memorabilia for any other such purposes as may honour the history and spirit of the “General Botha”. 3.3.1 The movable property described In annexure “B” hereto (the memorabilia), which the Board of Control of the S.A. Merchant Navy Academy “General Botha” undertakes to deliver to the trustees upon Letters of Authority being issued by the Master of the Supreme Court to the trustees. The Agreement of the Cape Technikon to this delivery is hereby recorded. 3.3.3 The proceeds of any items in 3.3.1 and 3.3.2 above, and any other property, including sums of money donated to the trust, all accumulations of net income and any other securities or investments from time to time held by the trustees resulting from the exercise of their powers herein referred to. 3.3.4 Any property of whatsoever nature held by the trustees in terms of this clause is hereafter called the “trust property”. 3.4.1.1 CHRISTIAAN JOHANNES LOEDOLFF nominated by the Cape Technikon. 3.4.1.2 DENYS EDMUND PITCHER nominated by the SATS “General Botha” Old Boys’ Association . 3.4.1.3 ARTHUR WILLIAM BLUETT and JOHAN ANDREAS DUMINY by Board of Control of the South African Merchant Navy Academy “General Botha”. 3.4.2.1 the vacancy occurring in paragraph 3.4.1.1 above and any subsequent vacancy shall be filled by a person nominated by the Cape Technikon or its successors in title. 3.4.2.2 the vacancy occurring in paragraph 3.4.1.2 above and any subsequent vacancy shall be filled by a person nominated by SATS “General Botha” Old Boys’ Association or its successors in title. 3.4.2.3 the vacancy occurring for the first nominee of the of Board of Control of the South African Merchant Navy “General Botha” as well as all subsequent vacancies following such vacancy shall be filled by the SATS “General Botha” Old Boys Association or its successors in title. 3.4.2.4 the vacancy occurring for the second nominee of the of Board of Control of the South African Merchant Navy “General Botha” as well as all subsequent vacancies following such vacancy shall be filled a person appointed by unanimous agreement of the other trustees provided only that such person has had satisfactory link or interest in the “General Botha” prior to June 1990. 3.4.2.5 any vacancy referred 3.4.2.1, 3.4.2.2 and 3.4.2.3 should not be filled by the nominator referred to therein after thirty (30) days written notice by the trustees to such nominators’ last known address then the remaining trustees, even if less the required quorum, shall fill such than vacancy in the same way as set out in paragraph 3.4.2.4 above. 3.4.3. The trustees in their sole discretion may be assisted by an advisory committee, the composition of which shall be by unanimous agreement of the trustees, who shall also have the power from time to time to fill any vacancies arising therein to remove persons appointed thereto and to add further members thereto, for the purposes of advising the trustees on any matter related to the trust or the purpose of the trust. The rules regarding the operation and duties of such advisory committee and the powers which the trustees may delegate to members of such a committee, shall be determined by the trustees in their absolute discretion, and may be amended at any time by the trustees in their absolute discretion. 3.4.4. The rights, powers and duties of the trustees, as well as the procedure to tbe followed by them and ancillary matters relating to the office of trusteeship in terms of this trust are described in annexure “A” hereto. 3.5.1.3 the authority of the Cape Technikon or its successors in title and the SATS General Botha Old Boys’ Association or its successors in title. 3.5.2 If authority is obtained under 3.5.1 for the disposal of any item of memorabilia, such item of memorabilia shall first be offered to any museum or historical or ship society in Simon’s Town or in Cape Town as a donation before it is disposed of for any financial return or to any institution or person for other purpose than that of this trust. The determination of the order in which such items of memorabilia are disposed of to any museum or historical or ship society shall be in the absolute discretion of the trustees. 3.5.3 If no museum or historical or ship society is prepared to accept item/s of memorabilia in question, such item/s of the memorabilia disposed of shall be disposed of in such to be manner and such terms as the trustees in their absolute on discretion determine; provided that if there is any financial return in respect of such disposal then such financial return shall be administered as part of the trust. 3.5.4 The trustees shall administer capital of the trust, excluding the memorabilia, and the income accruing thereto in such a way in their absolute discretion as to fulfil the purpose of the trust. To this end they shall be entitled to capitalise income and to use the income and capital of the trust for any purpose whatsoever so that the purpose of the trust is fulfilled. 3.6 The trust may only be terminated or amended by the unanimous decision of the trustees and the recommendation of the Cape Technikon and the SATS General Botha Old Boys’ Association or their successors in title. Any such amendment may be by underhand deed concluded by these parties. On termination, the memorabilia of the trust shall be offered to any museum or historical or ship society in Simon’s Town or in Cape Town for the purposes of the preservation of such memorabilia, and the order in which such memorabilia is offered to such museum, or historical or ship society in Simon’s Town or in Cape Town shall be in the absolute discretion of the trustees. It is recorded that, as far as possible, the memorabilia should be kept intact as a unit. If no museum or historical or ship society in Simon’s Town or in Cape Town is prepared to accept any item of memorabilia then such item may be disposed of in such manner and on such terms as the trustees in their absolute discretion may determine. The balance of the trust property, including the proceeds of any item of memorabilia disposed of, shall be disposed of cv pres by the trustees in their absolute discretion to such institution which may, as far as possible, be in a position to fulfill the purpose of this trust, alternatively, record the history of the “General Botha”. The trustees for the time being of the Trust, whether originally or subsequently appointed, as hereinbefore provided, shall not be required to furnish security in terms of the Trust Property Control Act or any other statute or law which may now be or may hereafter become of force and effect, in respect of their duties as trustees of the Trust. All contracts, deeds and other documents which are required to be signed on behalf of the Trust shall be signed in such manner as the trustees shall from time to time determine; and in the event of any dispute a resolution to that effect signed by the trustees at the time shall be conclusive evidence in that regard. All costs and expenses incurred by the trustees in connection with administration of the Trust or the exercise of the powers conferred upon them in terms hereof shall be paid by the trustees out of the income of the Trust as decided by the trustees. The trustees shall at all times be empowered to employ an attorney or other agent to transact all or any business of whatsoever nature or permitted to be done in pursuance of this Trust Deed and required to effect payment out of the Trust property or the income thereof for all charges and expenses so incurred. Each trustee is hereby absolved from all responsibility in the event of the bona fide exercise of the powers hereby conferred resulting in any loss to the Trust property from time to time under administration of income derived therefrom. No trustee shall be or any answerable for any act, omission or negligence of any other trustee or of or attorney, accountant, banker, broker or other agent any employed by the trustees nor for any bona fide mistake in payment to any person assumed to be entitled thereto hereunder, nor shall any trustee be bound to take any proceedings against a trustee for any alleged breach of trust committed by such co-trustee. Each trustee shall be indemnified out of and by the Trust against all claims and demands of whatsoever nature that may be made upon them arising out of the bona fide exercise of any of the powers conferred on the trustees under this Trust Deed. 1.6.5 becomes disqualified in terms of the Companies’ Act for the time being in force to act as a director of the company. The trustees may meet together for the despatch of business, adjourn and otherwise regulate their meetings as they may think fit provided that there shall not be less than one meeting per annum. Trustees shall decide on the election of a chairman and his tenure in office. Any trustee shall be entitled at any time to summon a meeting of the trustees, and such meeting may be held telephonically provided that minutes of every meeting are recorded by all the trustees of the time, in respect of which a faxed document reflecting the signature of a trustee will suffice. A trustee may be represented at a meeting by a proxy appointed as such in writing, and a written resolution signed by all trustees for the time being or their proxies shall be as effective as a resolution taken at a meeting of trustees. A faxed resolution shall constitute for these purposes evidence of such resolution. In the event of any disagreements arising between the trustees at any time, the view of the majority, except where unanimous decision in terms of the Trust, shall prevail; provided that in of any deadlock the chairman of the meeting at the time shall have a casting vote. time to appoint a chartered accountant (S.A.) to act as auditor of the Trust and to discharge the function referred to in this clause. An auditor acting as aforesaid shall certify accounts framed under this clause in the customary manner. The trustees shall have all the powers of a natural person with full contractual capacity in connection with the Trust property, including (without derogating from the generality of this provision) the power to retain, sell, lease, or convert any Trust property, and to invest and reinvest the Trust property in movable and or immovable property, whether income producing or not, as they may deem fit, and shall not be limited to such as are known as “trust investments”; the power to borrow money and to pledge or mortgage property for that purpose; the power to lease any property; the power to operate any bank accounts or building society accounts in the name of the Trust in such manner as they agree; and any other power which may further the purpose of the Trust. Any shares, stock or any other securities held by the Trust may be registered in the name of the Trust or in any or all the names of the trustees or in the name of any nominee of the trustees who shall hold such shares for and an behalf of the Trust and execute a form of declaration of trust to the reasonable satisfaction of the trustees. Any rights attaching to the shares held by the Trust shall be exercised on behalf of the Trust by such person (including any trustee) and in such manner as the trustees shall from time to time determine, and to this end the trustees shall be entitled to execute and grant such powers of attorney or other documents as they to may deem necessary.